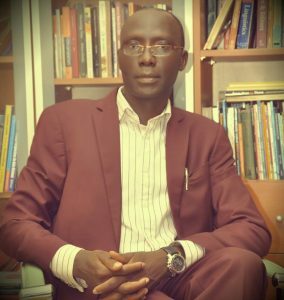 An author, Ahmed Maiwada, has appealed to the Federal Government to review downward taxes on imported printing materials and equipment to encourage printing of good quality books in the country. Maiwada made the call in an interview with the News Agency of Nigeria (NAN) on Monday in Abuja. “I urge the Federal Government to please consider the high taxes on imported printing materials and equipment which has resulted in the high cost of printing books in the country. “They should consider a downward review so that we can have affordable books; Nigerians are interested in reading but the prohibitive cost of these materials are part of the reason they don’t get good books to read. “It is regrettable that young writers who are supposed to be reading to become better writers cannot afford the books they are expected to read because they are expensive. “Where will they get money from to buy them, read and become better writers; so you can see that high cost of importing printing materials is negatively affecting our next generation of writers,” he said. Maiwada, who also a poet, is the author of “Fossils’’, “Saint of a Woman’’ and “Eye Rhymes’’ said that printing his latest work “We are Fish” passed through many challenges. He, however, said that the work was aimed at achieving two things. “One, to let people know that the environment is important; it is an environmental conscious book; if you read from the beginning, the introduction says ‘Save our Sea’.